Gumbo-limbo tree largest in North America in De Soto National Memorial Bradenton Florida - Nikon D300 with Tamron 17-50mm lens @ f/8 ISO 200 7-bracket HDR on Induro CT214 tripod with cable releaseAlmost by accident visitng De Soto National Memorial on Labor Day has become an annual tradition. When I first visited the park last year, it was an accident also as I left the house planning to visit only one park. When that park turned out to be rather non-descript, I quickly checked the map and was blown away by how great De Soto was, as it only appears to be a very small peninsula. 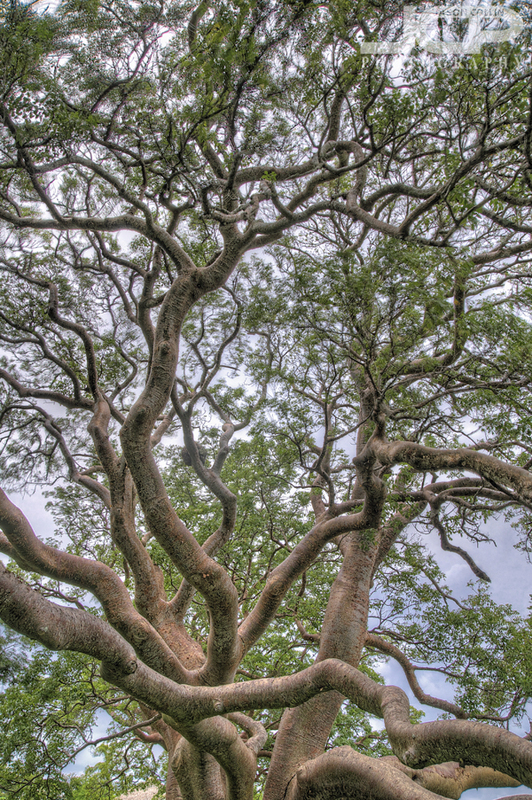 Of the many impressive features of the park, perhaps the most is the Gumbo-limbo tree near the entrance, which is the largest of its kind in North America. I intended upon my return to the park two days ago to photograph the tree properly, which required the proper gear: tripod, cable release, wide angle lens. 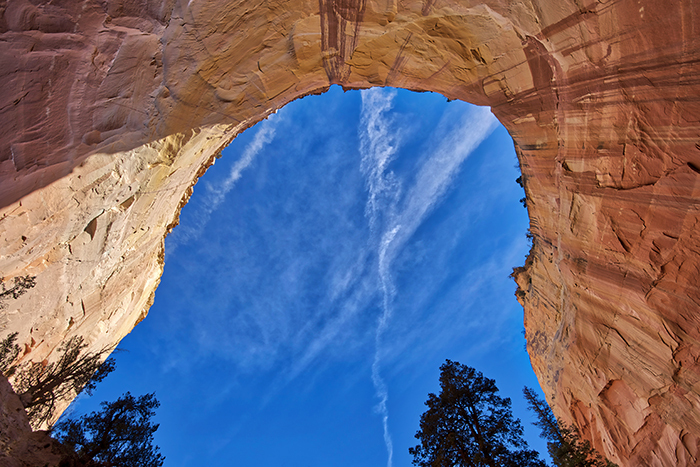 The above shot was made using my Induro CT214 tripod at its shortest leg length. I wanted to get to near eye-level of the lowest branches of the Gumbo-limbo and to show just how far the lower branches extend horizontally. They seem to grow impossibly parallel to the ground. Gumbo-limbo tree horizontal branches in De Soto National Memorial Bradenton Florida - Nikon D300 with Tamron 17-50mm lens @ f/8 ISO 200 7-bracket HDR on Induro CT214 tripod with cable releaseI used the exact same setup to try and create a 3D looking shot of the longest and lowest of the branches. I do not think anyone coud actully limbo under these, and I certainly did not try! Gumbo-limbo tree vertical branches in De Soto National Memorial Bradenton Florida - Nikon D300 with Tamron 17-50mm lens @ f/8 ISO 200 7-bracket HDR on Induro CT214 tripod with cable releaseThe thing about the Gumbo-limbo tree is, not only does it have very long horizontal branches, but its vertical branches extend straight up high into the sky as well. It really is an amazing tree and the crown jewel of the hidden gem that is De Soto National Memorial park. 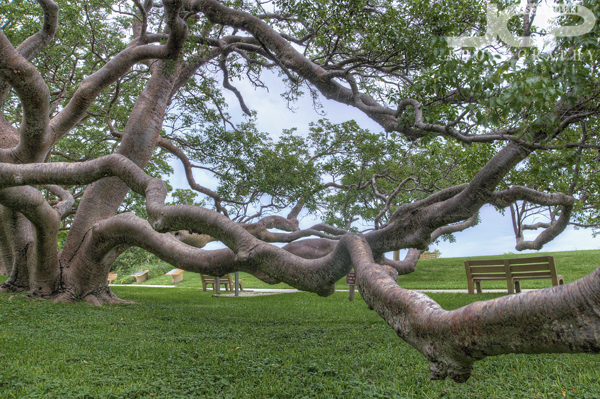 These Gumbo-limbo photographs are available for as fine art prints, inquire today!